WEDNESDAY, Aug. 3, 2016 (HealthDay News) -- A potential vaccine for the Zika virus has entered early clinical trials to assess its safety in humans, U.S. health officials announced Wednesday. The DNA-based vaccine contains genetic pieces of the Zika virus. It is intended to promote an immune response that would protect against the mosquito-borne virus that can cause devastating birth defects, according to a statement from the U.S. National Institute of Allergy and Infectious Diseases (NIAID). "A team of scientists here at NIAID worked tirelessly to rapidly develop this vaccine for clinical testing," Dr. John Mascola, director of NIAID's Vaccine Research Center, said in the statement. "DNA or gene-based vaccines induce antibodies, but they also can activate the cell-mediated immune response, which ultimately could yield strong and durable protection against disease." Researchers will observe the volunteers during a 44-week period after their first dose, to monitor their health and determine if the vaccine is safe. 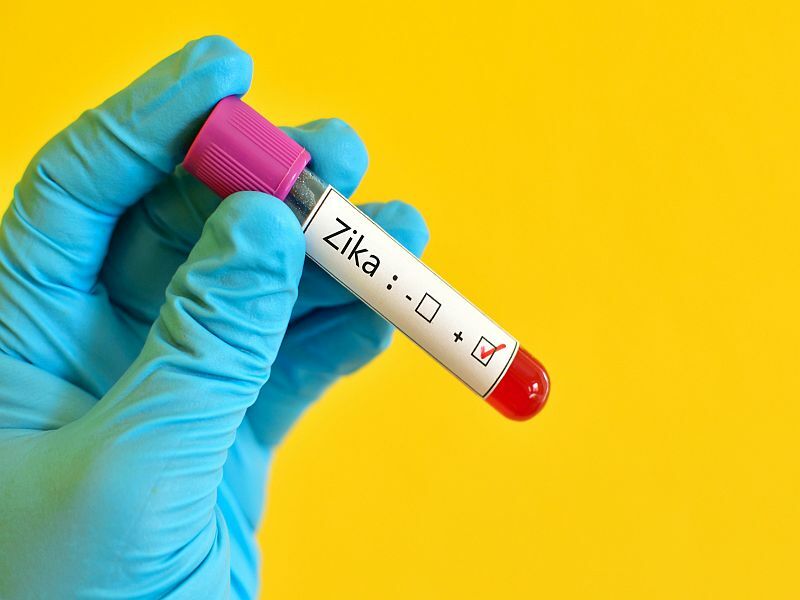 During follow-up visits, the study team also will take blood samples for lab testing to measure whether the vaccine is prompting an immune response sufficient to protect humans against Zika, the NIAID statement said. NIAID Director Dr. Anthony Fauci said, "Although it will take some time before a vaccine against Zika is commercially available, the launch of this study is an important step forward." There is no vaccine or treatment for infection with Zika virus. While most people who are infected only experience mild symptoms, the virus can cause the birth defect microcephaly, which results in babies born with undersized heads and underdeveloped brains. The United States is experiencing its first-ever outbreak of Zika, in a one-square-mile neighborhood north of Miami called Wynwood. Florida health officials identified a new local Zika infection on Tuesday, bringing to 15 the number of people infected via mosquito bite during the outbreak, the Miami Herald reported. The cases include 13 people in Miami-Dade County and two in neighboring Broward County. All but the latest patient apparently had been infected in the Wynwood area. The latest case has officials worried that mosquitoes are spreading the virus beyond the Wynwood neighborhood, the Herald reported. "We are investigating that carefully, and if we do identify another area of local transmission, we will put out an advisory," Sarah Revell, a spokeswoman for the Florida Department of Health, said late Tuesday. The federal Centers for Disease Control and Prevention is urging pregnant women and their partners to stay away from Wynwood -- the first time the CDC has ever warned against travel to an American neighborhood for fear of an infectious disease. The CDC issued the travel advisory because more Zika infections have been identified in humans and because mosquito-control efforts in Wynwood have so far proven ineffective, CDC Director Dr. Tom Frieden said. "Despite the daily use of spraying, the vector control experts there were still seeing new larval mosquitoes and moderately high Aedes aegypti counts, which is not something that we had hoped to see," Frieden said. Most Zika infections have occurred in Latin America and the Caribbean. Brazil has reported the vast majority of cases and the birth defect microcephaly. On Tuesday, the CDC said it had awarded more than $16 million to 40 states and territories to create "information-gathering systems" to quickly detect microcephaly. This money is a "stopgap diverted from other public health resources until Zika funds are provided by Congress," the agency said in a news release. Mosquito-control efforts in Miami's Wynwood neighborhood have been difficult because it's a mixed-use area, where industrial sites are located next to a blend of residences and businesses, Frieden said. "It's an area that's not all of one type or another type, and that does make mosquito control more difficult because you need to tailor the mosquito-control activities to the specifics of the area to get rid of breeding sites and apply larvicide and insecticide effectively," Frieden said.